Comments for Rock or not? 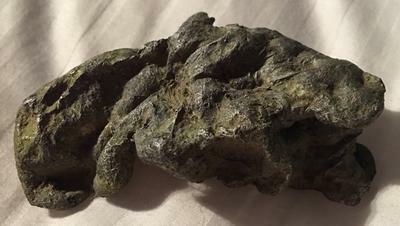 I found it in the creek at huffcreek which is in Logan county, the maps I seen said that Logan was part of the Paleozoic era. I found it in Logan county in Davin, at Huffcreek. I looked the map up and what I found said that Logan county was part of the Paleozoic era. This is defiantly an interesting rock. Since most of West Virginia is Paleozoic rocks It could be a fossil. I don't see anything I recognize but more information would be helpful. 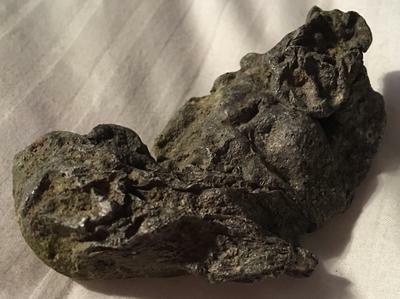 What part of WV did you find this rock? That can give us the age of the rock. Look at a "geology map of WV", just google the phrase in quotes and look at the images. Post your findings in the comments to this submission.